Mount Kenya is the highest mountain in Kenya, and the second highest in Africa (after Mount Kilimanjaro 5895m). 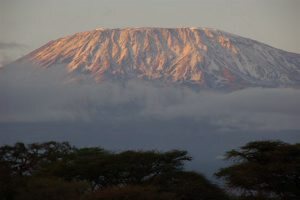 The highest peaks of the mountain are Batian (5199m), Nelion (5188m) and Point Lenana (4985m). Mount Kenya is located in central Kenya, just south of the equator, around 150km north-northeast of Nairobi. The area around the mountain is protected in the Mount Kenya National Park, which is a designated UNESCO World Heritage Site. The National Park is around 620km2, and receives up to 15,000 visitors every year. Naro Moru River Lodge, this lodge is situated near Naro Moru, and offers facilities from bird watching to equipment hire and guided climbs and plant tours to the mountain. It also administers the bunkhouses at the Met Station and Mackinders Camp on the Naro Moru Route. This route is taken by many of the trekkers who try to reach Point Lenana. It can be ascended in only 3 days and has bunkhouses at each camp so a tent is not necessary. The terrain is usually good, although one section is called the Vertical Bog which is hard to get trough. The track starts in Naro Moru town and heads past the Park Headquarters up the ridge between the Northern and Southern Naro Moru Rivers. At the roadhead is the Met Station (Meteorological) where you can stay the first night, to which it is possible to drive in the dry season. The route goes up into the Northern Naro Moru Valley to Mackinders Camp. The huts are very basic. Most huts have no heat or light, but spacious with dormitories and communal areas. They also offer separate accommodation for porters and guides. The Afro-alpine zone starts at about 3800m. It is characterised by thin dry air and a huge temperature fluctuation. Plants are subject to solifluction, where needle-ice is produced every night. This ice uproots seedlings and can damage roots. Some plants have evolved to live without roots, such as lichens and moss-balls. Dendrosenecio keniodendron( Giant groundsel) and Lobelia keniensis have spongy areas between the cells in their leaves where water can freeze every night without damaging the plants. When these plants are subjected to temperatures above 15 Celsius, photosynthesis is considerably reduced. Vegetation becomes more sparse at this altitude, with small and giant heathers being dominant. 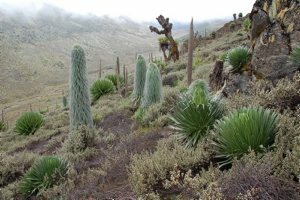 The dominant plant in the Afro-alpine zone on Mount Kenya is the tussock grass Festuca pilgeri. 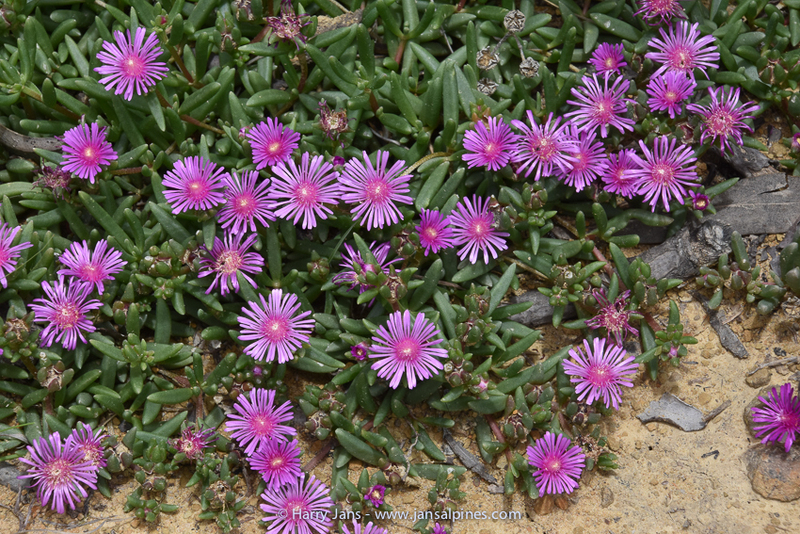 There are three kinds of giant rosette plants; Carduus, Senecio, Dendrosenecio and Lobelia. Carduus keniensis, the giant thistle, is endemic to Mount Kenya. Dendrosenecio, are only found on East African mountains. They have leaves up to 1m long, and some species have treelike stems. Dendrosenecio keniodendron is endemic to Mount Kenya. 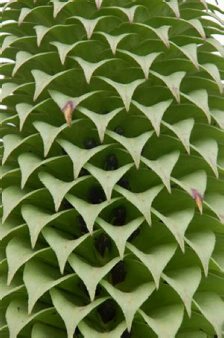 It is a giant rosette plant, and can grow up to 6m tall. It tends to grow in dense groups of even-sized plants, and flowers every 5-20 years, often in synchrony across the population. 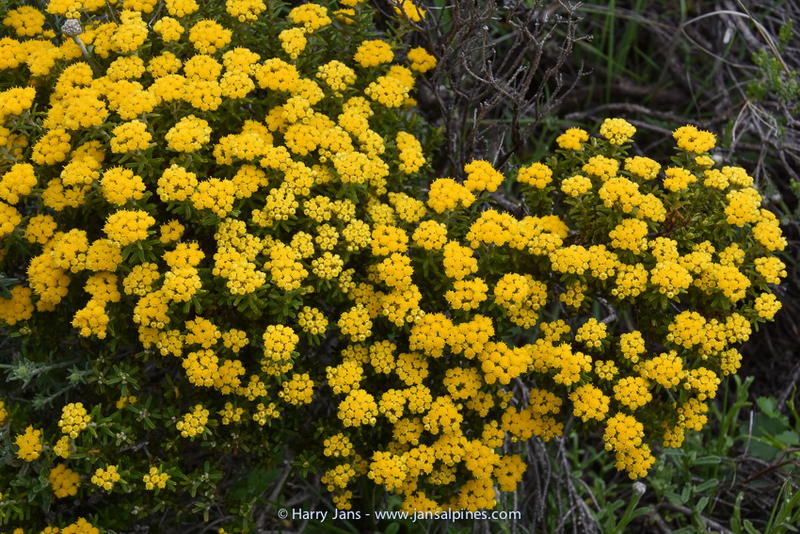 Two species, Dendrosenecio keniodendron and Senecio keniensis are separated by altitude and topography. 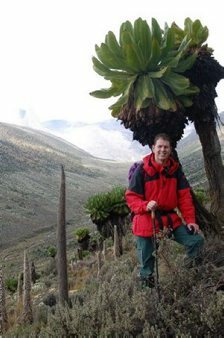 D. keniodendron occurs more frequently with increasing elevation above 3900m and up to 4500m, whereas S. keniensis occurs mainly below 4000m and very rarely above 4200m. Where the two species come together, hybrids are not uncommon. Senecio keniensis, Lobelia keniensis and tussock grasses are dominant in the wetter areas. 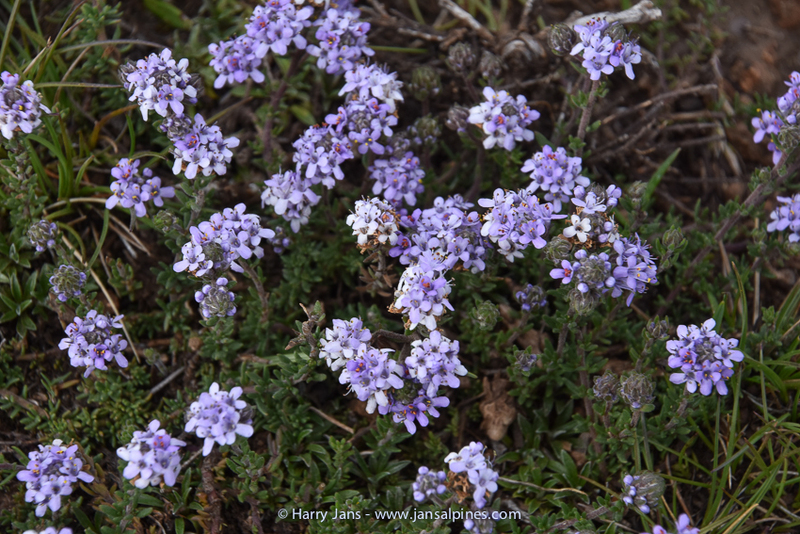 There are over 100 species of wildflowers in the Afro-alpine zone including everlastings Helichrysum spp., Ranunculus orephytes, Haplocarpha rupellii and Gladiolus thomsoni. Because of variation in flowering times, some species are in flower at all times of year. 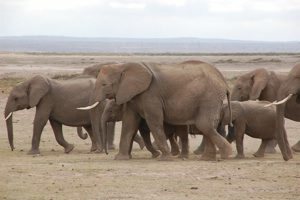 260 kilometres from the capital city Nairobi, Amboseli National Park is the third most visited game area in Kenya and a visit can easily be done in a weekend.Amboseli National Park, is in Kajiado District, Rift Valley Province in Kenya. The park is 39,206 hectares in size at the core of an 8000 square kilometres ecosystem that spreads across the Kenya-Tanzania border. 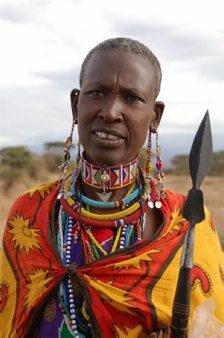 The local people are mainly Maasai, but people from other parts of the country have settled there attracted by the successful tourist-driven economy and intensive agriculture along the system of swamps that makes this low-rainfall area (average 350mm) one of the best widlife-viewing experiences in the world. 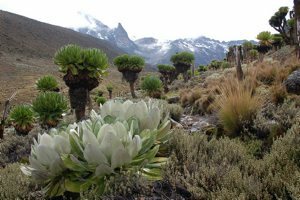 For more information about Mount Kenya, click here.